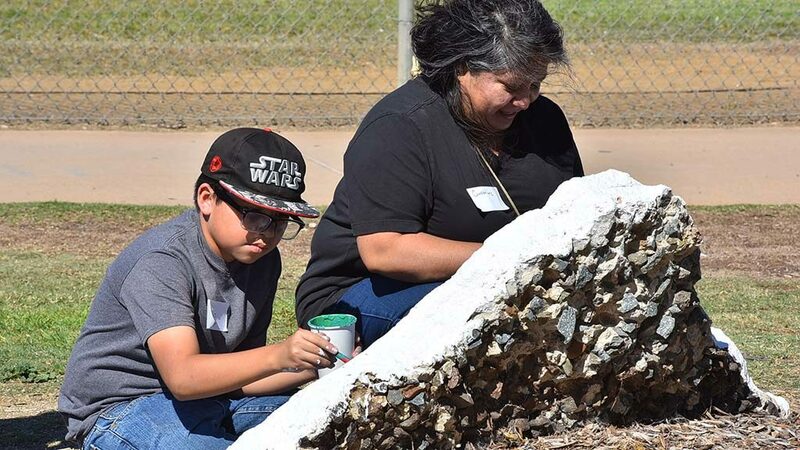 In the midst of a big box store and National City strip malls, volunteers gathered Saturday at Paradise Creek to have a connection with nature by creating art that mirrored its surroundings. 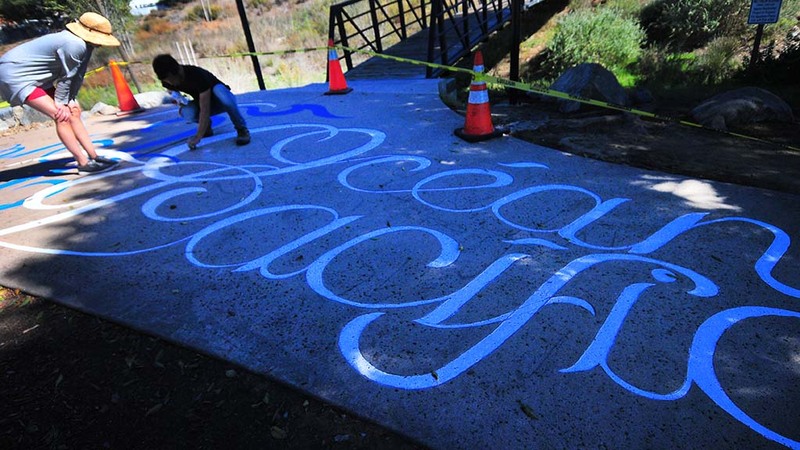 Nuñez oversaw work to beautify Paradise Creek Gathering area of Kimball Park. 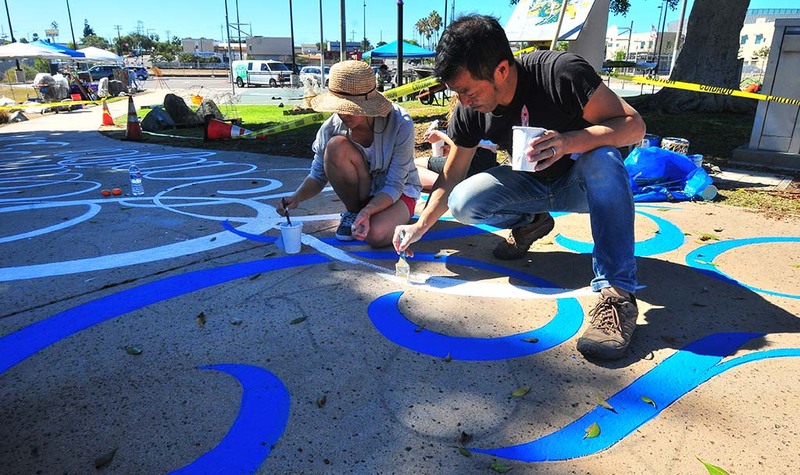 The artistic improvement project involved ARTS members, artists and volunteers, comprising 60 local residents and San Diego City College and San Diego State University students. 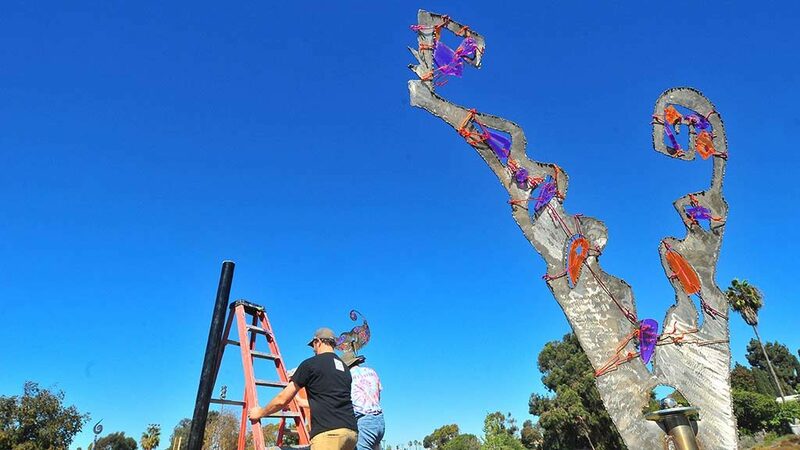 James Halliday, executive director of ARTS, said the effort was one of dozens in National City and neighboring areas made by his organization. 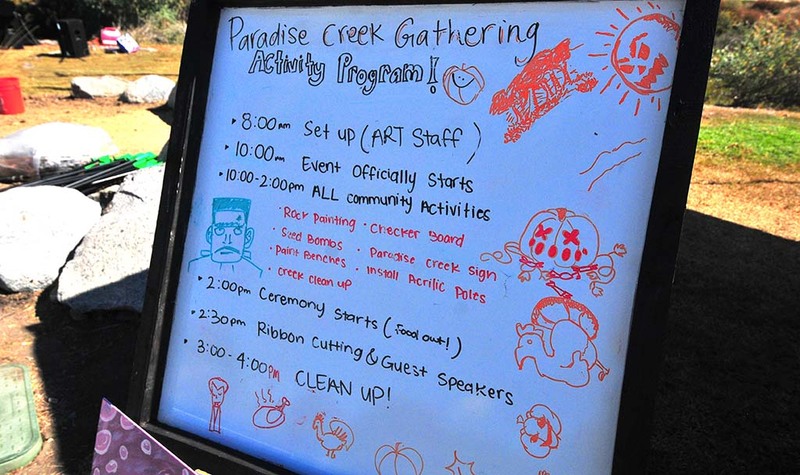 The Paradise Creek project began two years ago, helped by a $5,000 grant from the American Society of Landscape Architects. 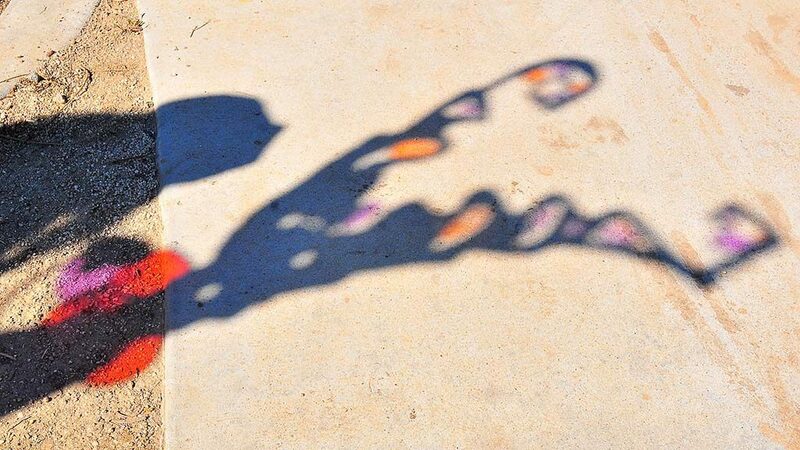 Saturday, it was time to finish it by installing six additional light sculptures, planting seeds and painting boulders, a sidewalk and benches. Halliday considers the creek, which runs through National City and out to San Diego Bay, central to the city and a place for residents to make a nature connection. 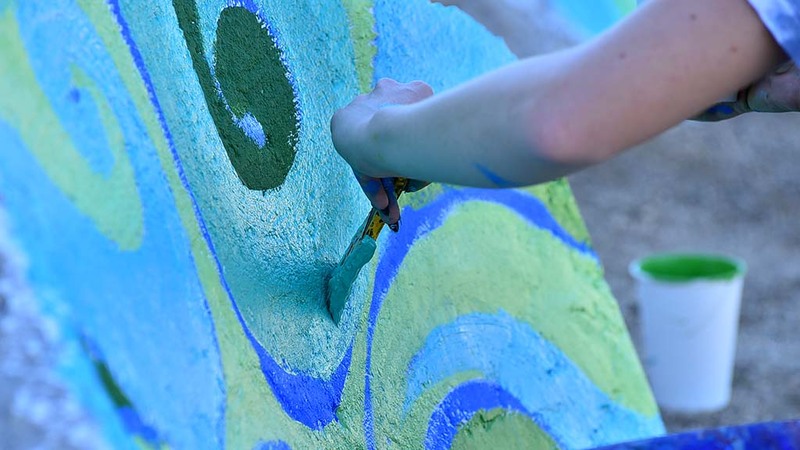 He expects more art-nature projects finished in the city over the next three years. 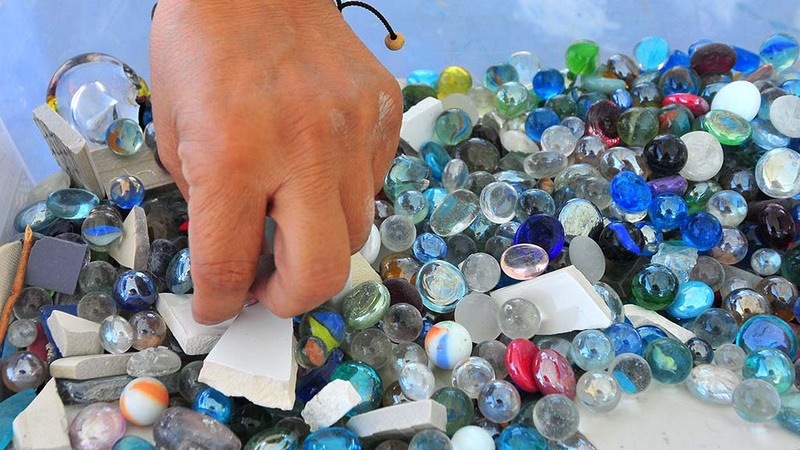 Guadalupe Estrada and her son Mario, 11, painted small rocks and a boulder. 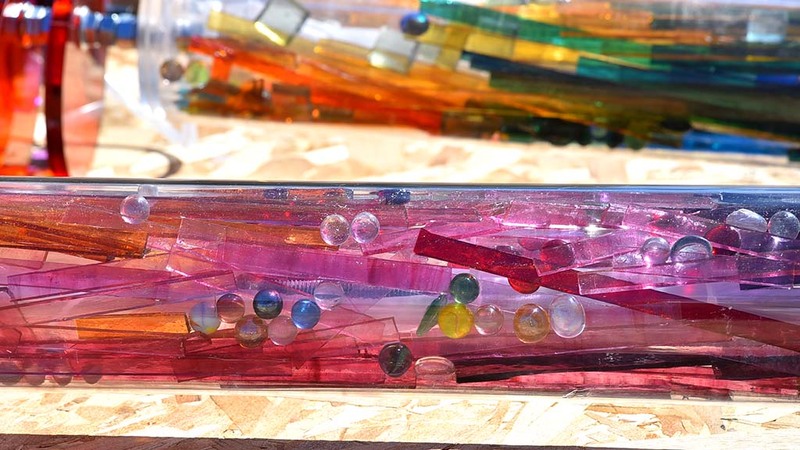 At the center of the works are solar-powered lights surrounded by colorful glass in an acrylic tube, topped with a metal piece depicting flight. 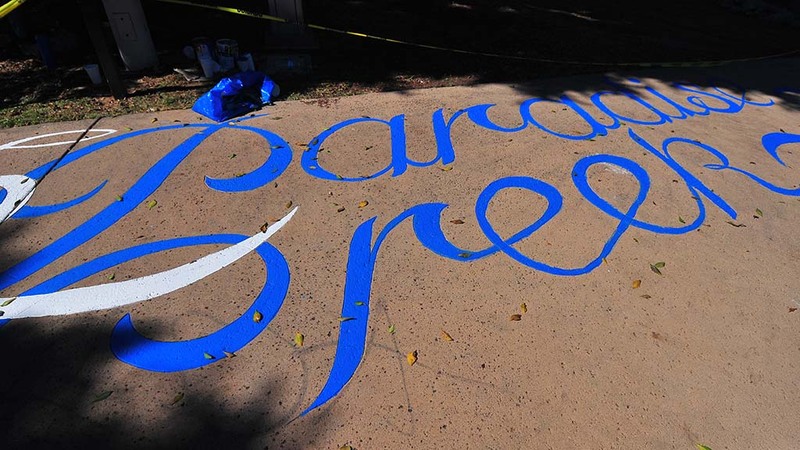 Community members told the group at the inception that many birds, insects and bats frequent the area and wanted that to play a part in the design. 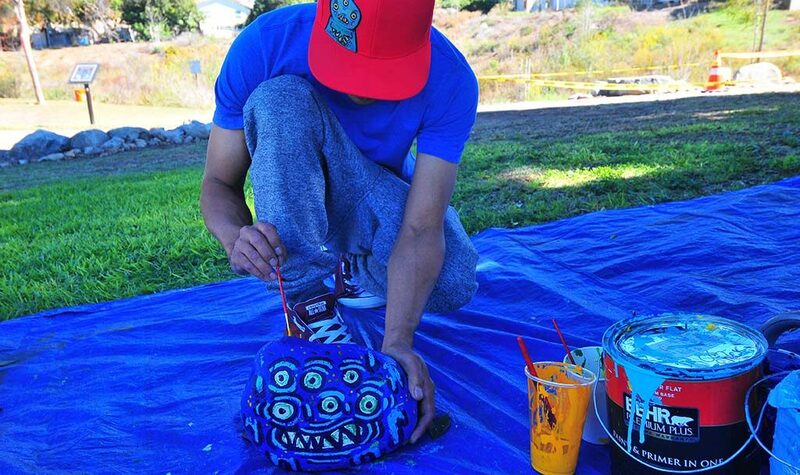 “I wanted something that would interact with the light of the environment,” said Leon, a City Heights artist. 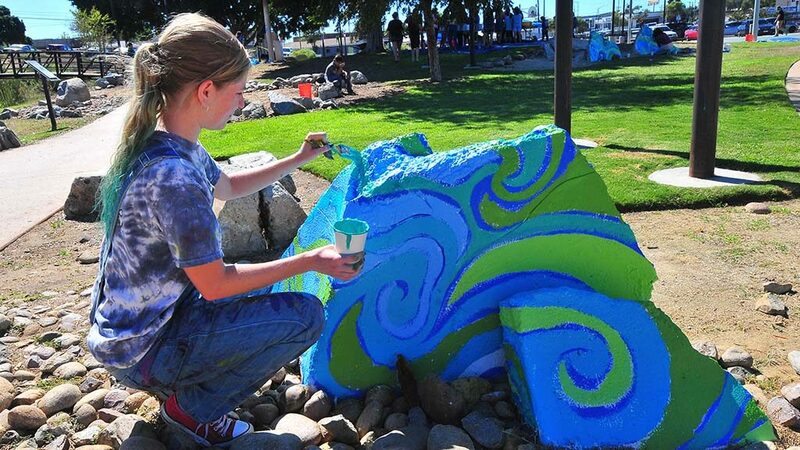 While the sidewalk paintings acknowledge the merging of creek and ocean water there, “the sunlight provides fire and the sculptures represent the air,” she said. “So it brings in all of the (natural) elements and that’s what makes this space lively and healthy and vibrant,” Leon said. Leon was brought into the project through the Pomegranate Center with the idea of having communities create artistic gathering places, she said. 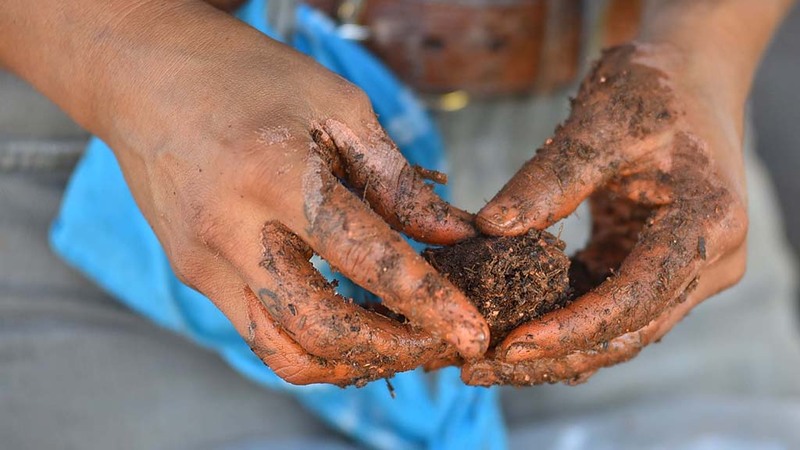 “A lot of people have participated in this work and everyone has had challenges and growth,” she said. ARTS was founded in 2001. 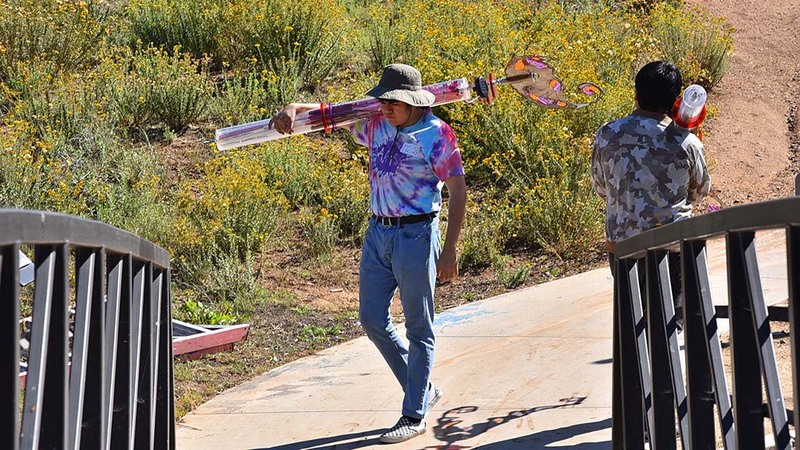 It partners with Sweetwater schools and the San Diego Symphony, among other groups, to provide internships and opportunities for youth to overcome obstacles and provide skills needed for positive change, according to its website. 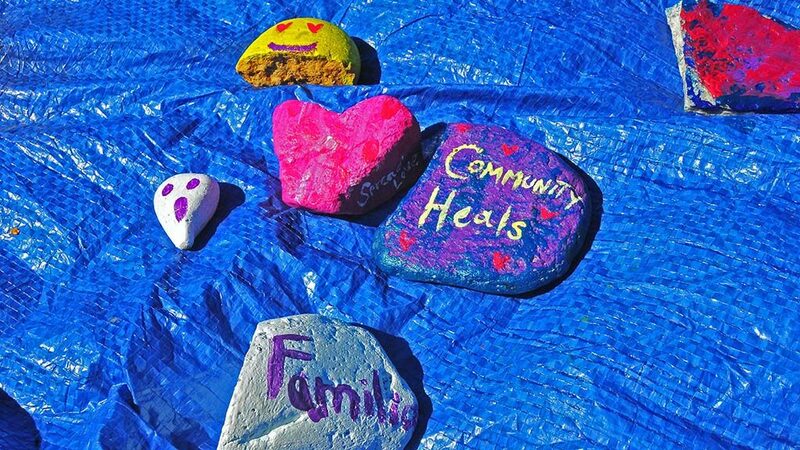 One of the elements of the art Saturday was painting small rocks with images and messages, which would be placed in the gathering place. 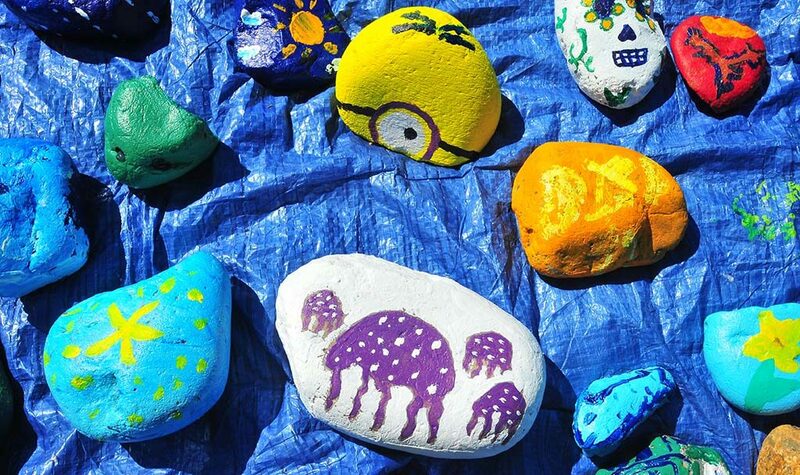 Two years ago, similar rocks were painted but were taken away by people, said volunteer Guadalupe Estrada, who hopes the new ones will be allowed to reside there.